Whether Selling or Buying...it is time to take action! Now is the time to make a move – for buyers and sellers alike. The housing market is showing signs of a tepid economic recovery with housing prices showing improvement in many places across the country and mortgage rates continuing to remain near historic lows. How long will this continue? Nobody knows for sure. If you’ve been tossing around the idea of selling your home or purchasing a primary or second home in the Myrtle Beach area, you’ve found yourself at an optimum time. Following are two factors to consider to determine if this is the right time for you to take advantage of the Myrtle Beach housing market. The trends over the last several months indicate an increase in residential and condo prices. This is due in part to supply and demand. When supply shrinks, demand tends to rise and thus prices increase. Grand Strand condo inventory trends have shown a steady decline from June 2010 when there were 5,765 listings on the market to February of 2013 where there are only 4,143 listings. Also a help to increased prices has been the decline in distressed condo inventory which has fallen by 39% since August 2010. The trends thus point toward a rise in condo prices which is currently what the market is experiencing. In regards to the Grand Strand residential inventory, there has not been as dramatic of a drop in inventory levels. The biggest decline though has been the drop in distressed residential listings where there has been a 30% decline over the last two years. If these inventory trends continue, demand for both Grand Strand condo and residential properties should rise, which will also mean higher prices. The journey of selling and/or purchasing a home is a daunting task in and of itself. You can compound that by going at it alone or working with a novice. The best strategy - seek a professional who knows exactly what is happening in the Grand Strand market. Don’t be afraid to specialize. Not all agents are created equal. Be sure to seek out agents that specialize in what you are looking for (i.e. condos, residential, land). Do your research. Google can help you narrow down your search and discover if the agent and real estate company you are considering is up to the task of serving your real estate needs. Do they look professional? Do they provide online resources that are helpful? Do they have testimonials and references? Do they have a weekly newsletter that keeps you informed on what is happening in the market? Do they care? If you are in the market to purchase or sell a Grand Strand property, we would be glad to help you. Be sure to grab our free whitepaper, Myrtle Beach Real Estate: 5 Things You Should Know, for insight and information on purchasing a property in the Myrtle Beach and Grand Strand area. A consistent factor in nearly all the markets across the nation since late 2007 has been inventory and in many cases – too much of it. Whether this meant a large number of distressed sales, homes that just were not selling enough or buyers lacking confidence to buy – much of America went through a real estate downturn. Today, that has changed. Not only is it a very active marketplace but also we are seeing a complete shift in trends whereas sellers now have the upper hand in lower to mid-level price ranges. Consider this: just two years ago as much as forty percent of our available inventory was made up of short sales and bank owned properties. Today’s distressed property inventory has significantly reduced. Of our present-day 4,000 or so homes on the market right now, only 4% of them are bank owned foreclosures, which translates to about currently active 180 listings. For condos that number is even lower at just 3.3% of the approximate 3,500 available condos for sale being distressed properties. What was once very much a buyer-controlled marketplace has complete turned the tables – even for distressed properties. Buyers are up against a lot of competition, particularly in the $200,000 and under price bracket. It is necessary to be prepared to pay close to asking price for many of these homes given the high occurrence of multiple offer situations these days. As demand continues to rise and inventory keeps dwindling downward buyers will be facing more and more of these situations where prices will be artificially inflated. So far the Fed has not done much to change interest rates and the expectation is that they will last at least a while longer. With fewer distressed properties competing with standard sales now is a great time for buyers to get in on the action. With all the pent up demand from after the Presidential election and then the Fiscal Cliff issue – now there is a lot more consumer confidence and much more buyer activity in the marketplace. If you have been on the fence about selling – this is the time to jump off and consider listing your home before mainstream spring market sellers begin to list. It Remains A Great Time to Buy! This market growth hasn’t gone unnoticed in the Grand Strand area. Myrtle Beach Online reports that, “Real estate sales showed a continued upward trend in January, with a 10.3 percent boost versus a year earlier in sales of single family homes and a 11.9 percent increase for condominiums.” This trend, present not only in Myrtle Beach but throughout the entirety of the Grand Strand, is beginning to push an ever-increasing amount of people to begin the search for a new home or condo. Developments such as The Cottages at Seventh are evidence of the growing housing economy. If you are in the market to purchase a new vacation condo or property, we would be glad to help you. Be sure to grab our free whitepaper, Myrtle Beach Real Estate: 5 Things You Should Know, for insight and information on purchasing a property in the Myrtle Beach and Grand Strand area. 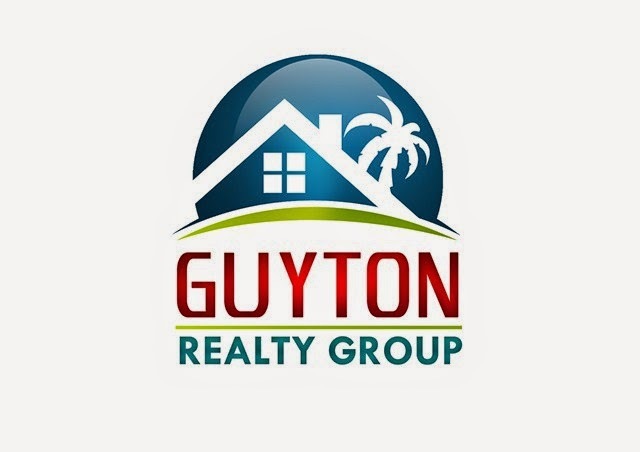 Please look to my team for professional guidance in real estate. From New Home construction to existing homes and condos, we cover the market with a wealth of experience. Mortgage interest rates are up a quarter percent over the last week! With real estate prices stabilizing, inventory going down and interest rates going up....when will it be your best time to purchase? It is interesting that I am already having conversations with people that say they "missed the market". Are you kidding?? The "market" isn't a day in time that has passed. The best buying opportunities are here and now and I expect that to be the case for the next 6 - 12 months. The quality of properties at the best prices are becoming harder to find, for sure, and the difference between asking and selling price is getting closer, so why wait? Twice a year it amazes me how many people rush out to retail stores across the Grand Strand for the "Tax-Free" weekends. These shoppers are saving about 7-9% on their purchase because tax is not collected. If that same store advertised a whopping 10% off sale for this weekend only would you get off the couch to go? No. Right now real estate is discounted much more than 7% - 10% from not only what it was...but what it will be. Rest assured that what you see for pricing right now will not last. Our recovery to normal pricing will lag many of the other markets that are seeing appreciation, but it will come to our market. here are great properties out there at really great prices and the historical interest rates may very well be gone. Isn't today a good day to start your search? Let me know if we can mobilize our resources for you!